I spent a considerable amount of time at this spot, waiting for the right light, the right mist, and the right reflections. I knew that getting all three elements — at the same time — would be a difficult feat but that was the scene I envisioned when I got to this location. After several near misses, though, I finally got the right look. 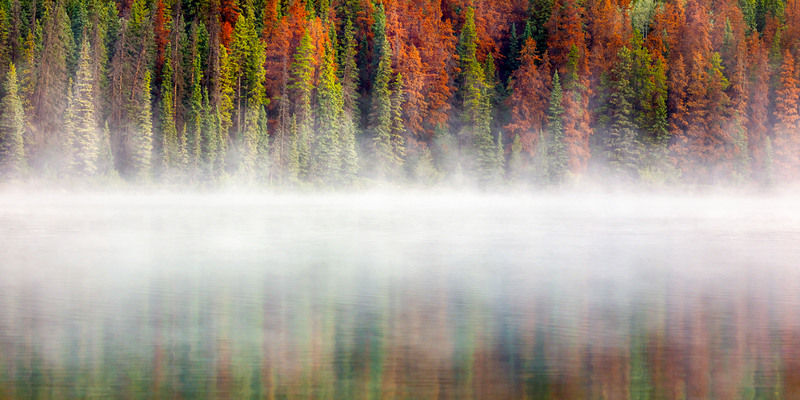 This fall scene, near Jasper, Canada, is the result I wanted.